A Maytag Air Conditioner comes with a selection of benefits that increase the performance and longevity of the unit. Benefits include proven components such as Copeland Scroll Compressors for reliable performance and low sound levels as well as the exclusive Maytag 12-year limited parts warranty and 12-year dependability promise. The Maytag M12000, PGC2TC, and PGC2TL fixed-speed gas furnaces offer extra-efficient 95.1% AFUE heating capabilities. When you combine these furnace models with Maytag® coils and cooling systems, you can expect year-round home comfort and premium performance. The Maytag rooftop unit has the two coils included in this packaged unit are enhanced to resist corrosion.,Premium performance is provided with two-stage cooling capabilities. This smart system setup results in increased home comfort levels due to more even temperatures and increased dehumidification capabilities, Unwanted noise reduction is achieved with a compressor sound blank. 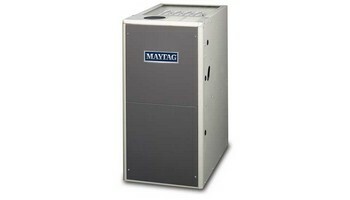 Maytag furnace installations are the easiest systems to install. These systems have been around many years and there very reliable. Installing a Maytag furnace is always the right thing to do. 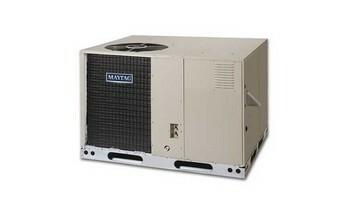 Maytag furnaces are very reliable forced air systems. Maytag equipment have been installed all over the world. When you hear the name Maytag. You think of Washer, dryers, ovens, and furnaces. This is a great and successful company. That has designed and manufactured a great equipment. All most everyone has a Maytag equipment in their home. 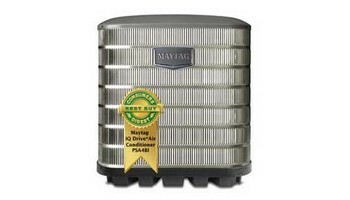 Maytag furnace are very good to have in your home. They're very reliable and efficiently built The Price is Right Heating and Air Conditioning have installed many, many Maytag furnaces. We have all our installs done by professionals HVAC specialist. Maytag furnaces have 80% efficiency is single stage and two stage forced air systems.. Maytag furnaces also have 90% efficiency single stage and two stage forced air HVAC systems. Maytag furnaces also have 96% efficiency single stage two stage and variable speed. These forced air systems are the most reliable and dependable systems that are out there today. They will give you and your family. All the warmth throughout the winter season. And they keep you very cool and comfortable in the Hot Summer season. Install Maytag furnace today. Everyone knows the name Maytag. The manufacturers that have created the Maytag furnace 80% efficiency. Maytag furnaces last long and the parts are very well built to last. You can depend on a Maytag furnace. Install one and you will see how good it is. How happy you will be that you install a system like Maytag furnace in your home. After installing a Maytag furnace. You will feel comfort and that you did the right thing for your family.